All These Lives has a very emotional story wrapped up in a hard shell that is known as Dani. Dani's twin sister Jena has leukemia, and Dani doesn't know how to deal with it, so she avoids Jena. However, since Dani has been young, she has gotten into many near death experiences and escaped unscathed. Her mom kept on saying that she has 9 lives, nothing bad can happen to her Dani because she's apparently got lives to spare. Somehow Dani gets the idea that if she gets rid of some of these lives, at least one of them will get transferred to Jena and saves her life. While this aspect might seem paranormal, but the emotional turmoil Dani goes through, how fragile her family is. It was all so raw and real and just heart wrenching. I thoroughly enjoyed the family relationship. The mother that would do anything to save her sick child. The father who is trying to keep the glue that holds the family together but also sneaks outside for a cigarette or two. Dani, and finally Jena, the leukemia patient, but also a girl with a strong will to survive and to stay as Jena. I loved how nothing dramatic happened in the family, they are a typical family with a sick child. I really enjoyed how realistic it was. While Dani might have seemed like the tough one, she harbors deep feelings of guilt, sadness, and just being scared of how will she go on without Jena. 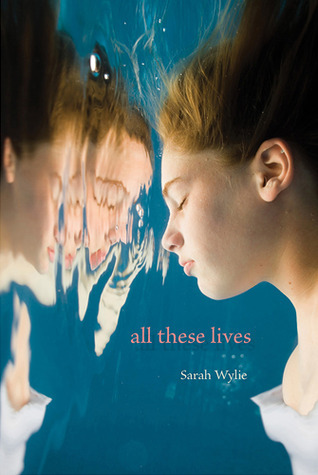 I loved Sarah Wylie's writing. It was simple, honest, and just had that realistic feel to it. I thoroughly enjoyed the plot, the characters, and the overall story of All These Lives. I would recommend it to realistic YA lovers, and anyone looking for a story that speaks from the heart to your heart, because All These Lives did just that. I really enjoyed this one too and super glad to see others who did as well! I loved the family relationship too it was very realistic and emotional! Wonderful review Juhina! I tend to avoid contemporary YA directed towards "drama", but I'm glad to read that this isn't one of them. Definitely keeping an eye out for this one.